The Statue of Liberty-Ellis Island Foundation was founded in 1982 to raise funds for and oversee the historic restorations of these two landmarks. Irina Lee and Ellis Island’s The Peopling of America Center worked together to create First Person American, an initiative to change the public’s perception of immigrants and to interject a new voice through deep and poignant portraits of people who immigrated to the U.S. 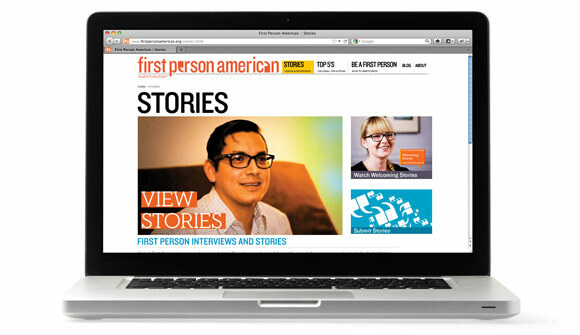 The First Person American program consists of a content-driven website that explores the modern immigrant identity through personal storytelling, visual documentation, video interviews, and interactive media.